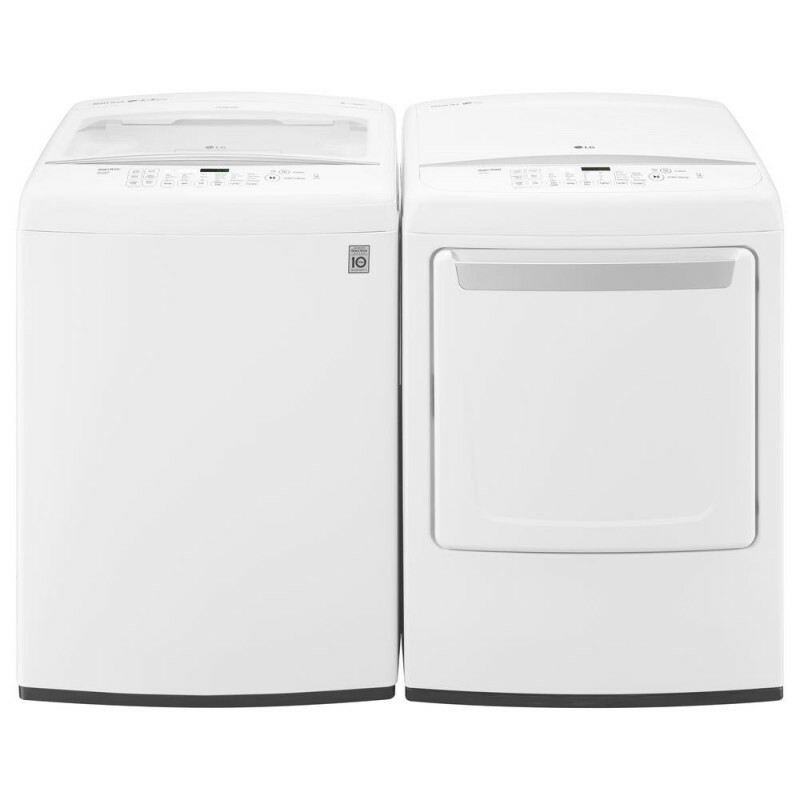 Function meets fabulous as LG rethinks every aspect of the traditional dryer design. Instead of clunky knobs and hard-to-reach dials in the back, this dryer has a control panel in the front. The bright LED display makes it a breeze to enter settings with accuracy. And with its ultra-large 7.3 cu. ft. capacity, the inside story is just as impressive. You get what you pay for Dryer is adequate. Indeed, it is easy to use and dries, for the most part, well. Main complete is that large items like bed sheets get wrapped up in each other, the center of which is wet, though outer is dry. We are still in the learning curve, hoping drying is more efficient as we continue to get used to dryers abilities. 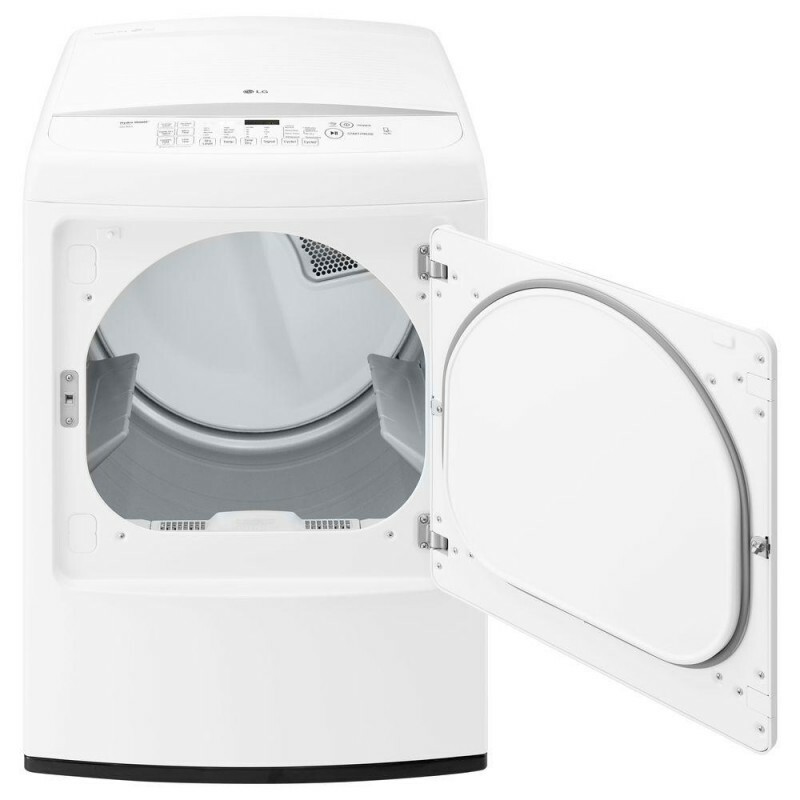 This is a very inexpensive dryer, and thus, you get what you pay for. Best bang for your buck! 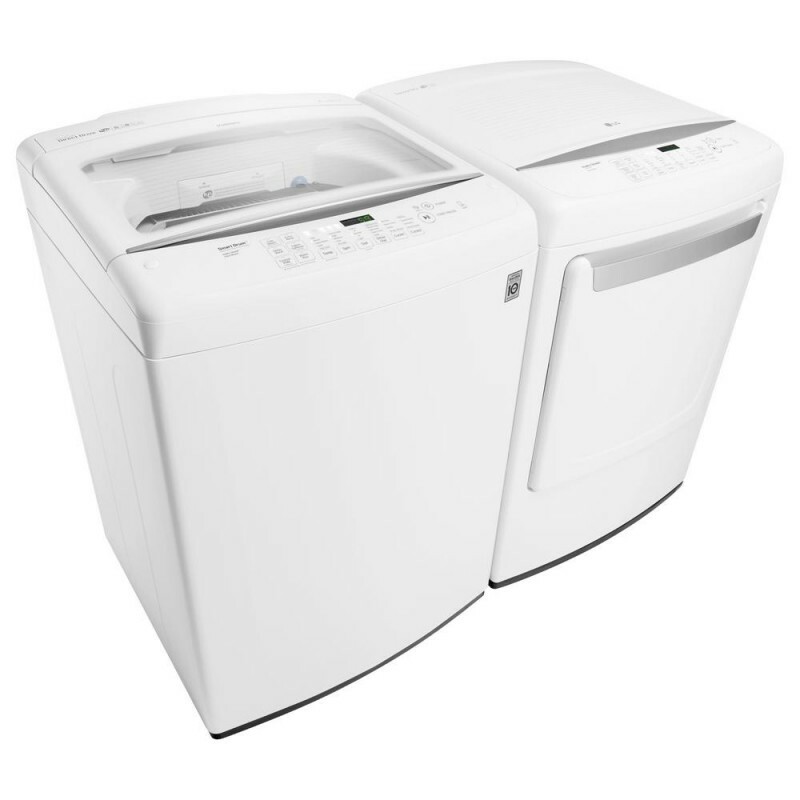 I purchased this washer and dryer set and I could not be happier at the moment! Both have plenty of space to fit comforter's and pillows so you don't need to drive down and waste time washing heavy bulky items at a laundromat! And with the auto-fill sensors and the other energy/water saving features it's the smartest buy out there! Big drum for large items Love this dryer. It goes exactly with the washer and so easy to operate. ideal digital display and cool chiming when load is finished. I love the fact that it chooses the temp and time for drying and it is spot on. Even my all cotton t's come out almost wrinkle free by choosing the wrinkle free cycle. This is the best dryer, LG quality is superior! I read lots of dryer reviews before buying this LG dryer. After 24 years my Maytag dryer stopped working and instead of repairing it, I went for a new one. 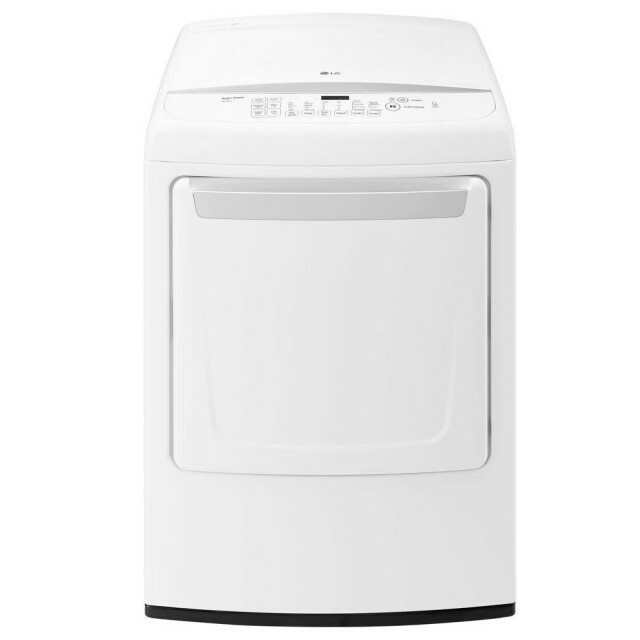 The only dryer that had high marks on most every category was this LG. I had also purchased an LG dishwasher, 2 years ago, here at BestBuy. I Absolutely love everything about it. I can now say the same about this dryer! For those who remarked about clothes "not drying enough", read the manual to get the best results. Good for the Price This dryer works fairly well. It has a lot of button options that take getting used to. You might not agree with the times, but for the most part the clothes are dry. I have found that there are some cases where the dryer shuts off, saying the clothes are dry, but I find damp items mixed in with the fully dry ones. But for the price, I find it a good dryer from a respected company.